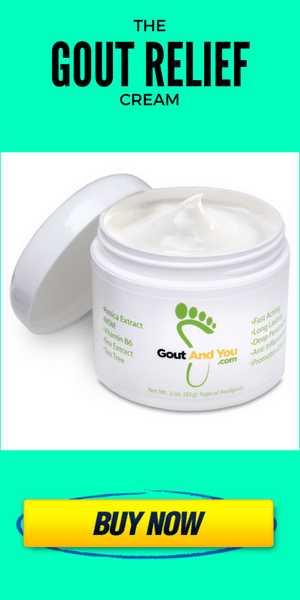 Gout occurs when the uric acid crystals are deposited into the joints or the soft tissues, which leads to inflammatory arthritis, making the joints suffer from intense pain, swelling and sometimes you can experience joint stiffness. Purines are natural substances which can be found in most of the foods we eat and are naturally present in the body; but there are certain foods that have higher of purines compared to others. If purines accumulate to excessive levels in the body, it will elevate the levels of uric acid in the body, since uric acid is a result of the breakdown of purines in the body and it is the crystallization of excess uric acids that exacerbates your gout condition. It goes without saying that if you are suffering from gout, then you have to avoid foods with high levels of purines. 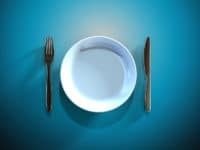 Many are the foods that have been proposed as low purine foods and are thus recommended for gout sufferers. Most of these foods are either low in purines or they help the kidneys in removing excess uric acid from the blood, preventing the formation of uric acid crystals. 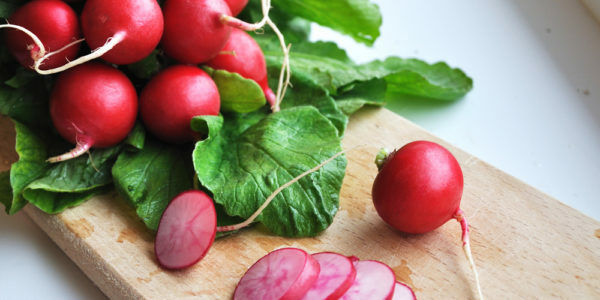 Radishes happens to be one of the highly recommended foods for people suffering from gout. White Beauty – this is small and round radish which is white, both on the inside and outside. It is sweet and very juicy. Rat Tail – the rat tail variety is tasty and crunchy. It has the reputation of tolerating hot weather, resisting pests and it never forms bulbs. As such, it is ideal for growing at home gardens by anyone. French Breakfast Radish – this mild and extra crunchy. It can be eaten raw or cooked and may sometimes have a slightly pungent smell. Daikon Long White – this is one of the hugest varieties and can measure up to 3 inches in diameter and up to 18 inches long. Cherry Belle – it’s round in shape and reddish and the most common variety at the local supermarkets. 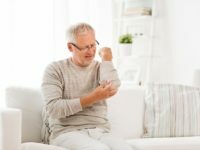 Radishes makes it to the list of preferred veggies for gout sufferers simply because it is a low purine food and no matter how much of it you take, you can never risk the production of excess uric acid which will lead to crystallization at the joints and ultimately making way for gout attacks. In addition to being a low purine food, radishes are instrumental in gout management because of the role they play in kidney health. It is always the responsibility of the kidneys to get rid of toxins and other wastes from the body. 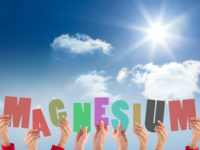 When there is excess purines in the body, it is normally expected that the kidneys will help get rid of them, thus not giving chance to the formation and crystallization of excess uric acid. But when the kidneys fail to do this, flare-ups will be imminent. There is numerous ways to prepare radishes or enjoy some of its tasty combinations. 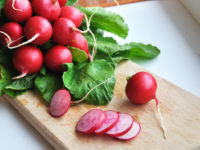 But one of the easiest and the most preferred ones is to savor the radishes when they are raw, sliced in salads or by eating them in conjunction with less tasting greens such as dandelion, greens, romaine or lettuce. 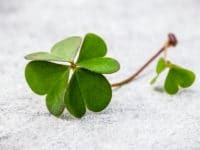 It is easy to grow them on your own and since they are not very demanding in terms of climatic requirement, they are one of the fastest growing foods you could have in your home garden. Whatever you do, make sure to include some radishes in your gout diet. Are Portobello or Shiitake Mushrooms Good for Gout? With re: to alcohol and gout, does it matter whether you drink beer, wine or spirits? I know the typical serving of each contains approx same amount of ethanol, but is there something about the brewing vs.the fermenting vs distiling processes that makes one type of alc less problematic? Radish has high water content and low heat. 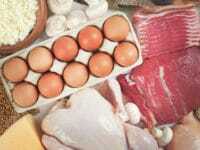 It belongs to low purine food. So it is suitable for gout diet. I like it. Here and there I saw some comment about replacing allopurinol with some natural remedy like the “altaf” said but after searching like hours on internet and talking with at-least 4 doctors ( 2 of them were rheumatologists) I came to this conclusion that when gout symptoms are starting there is no curing it and drugs just make gout’s attack go to sleep and it can wake up any second. But each person has a different body and they react to presence and absence of the drug in different ways. Like some people stop taking the drug and try only diet. Some of them don’t encounter another attack but in reality they aren’t cure and the damn crystals are forming silently in their body and waiting to take revenge on their host. My doctor showed me a dead patient’s profile that suffers from gout for 20 years. The patient was stopped getting drugs years ago and had tried strict diet. He hadn’t had any acute attack for at least 10 years but after that he was developing tophis and kidney stones. My doctor said to me strictest (is this even a word ? :D) diet can only decrease uric acid level by 1 mg/dL and after 2 acute attack in 1 year it is almost obvious (at least to my doctor ) that body can not reach a healthy and sustainable uric acid level with just diet in long term. He said to me diet and drug are both needed for life hand to hand. :<< he said to me after reaching a healthy uric acid level that sustain for at least 6 month he is going to decrease my allourinol dosage if I follow my diet. But he clearly said to me that the drug is for life and cutting it means the next upcoming attack that may not come in long years would be more severe and more painful. He said to me you may not be showing any symptoms and you may not encounter any other attack in years but you still have gout regardless. I was sad but after giving it some thought and read almost all the comments here and on other sites I think he is right. Diet is a "must" and it’s a big help but a correct dosage of drug is a must too. I want to know your thoughts Spiro as well as I saw somewhere you mentioned that you are on 100 mg allopurinol even now. Thank you all for reading and your helpful comments. Yes he right Mamal! It’s a balance of diet and medication so you can avoid it getting worse. Many think I will just take allopurinol and continue eating whatever I want and drink as much alcohol as I like. Problem is they will also need increased dosages of allopurinol in the future and will be at a higher risk of developing diabetes, high blood pressure, heart disease and other diseases. You must follow a proper gout diet! But you also take your medication. Regardless, there are many who hate drugs and vow to take the natural route but they must tread carefully. Articles that are very useful! Good news about the humble radish. I’ve been on 400mg Allopurinol for about 10 months now and attacks are getting less frequent and less severe. I will certainly assist it with eating radish (which I like) in the future. Radish has side effects on the colon, and should not exceed a certain amount per meal ..
We hope to mention what is the appropriate amount (daily) and coffee to take advantage of them and replace them with Allopurinol?! Interesting that you can replace Allopurinol. Can you say more about it, like how many radishes do you eat each day and why lemon. Do you soak them overnight? I have been avoiding taking Allopurinol tablets or anything similar for now 8 years since my first slight attacks. Now at 58 years old the attacks are becoming more frequent and I would like to contact others like minded whom avoid taking pharmaceuticals and see how they keep this dreadful illness at bay. My opinion is pharmaceuticals only mask the issue and do not fix it. It’s what we ingest or maybe shouldn’t is what is the real issue. None of my family or elders suffer this malaise so its something that I may have done to my organs as I was growing up which has brought this upon me. I love radishes so this is great news. However, do the benefits diminish if they are cooked like the daikon in a stir fry? I have become a vegetarian since being diagnosed and so far no further attacks in 3 months, early days yet. I am experimenting with different cuisines so would appreciate more info about other vegetables that can help get rid of the uric acid and in particular lower blood pressure and cholesterol. Try and not stir fry that much Georgia, cooking oil will increase blood pressure and cholesterol in the body. Obviously deep frying is the worst for you but stir frying is bad too. Heating oil in high temperatures is never good for humans. If you can eat it raw in a salad that would be the best way. Regarding frying. 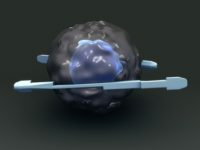 I was on a successful diet to fight cancer several years ago and was told the only oil to use for frying was Olive Oil. They said it not become carcinogenic when heated. Ghee was also suggested occasionally for flavour. Very similar to gout diet but red meat was avoided and an example was grain + pulse = protein. ie Wholemeal toast and beans = a steak.